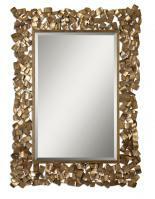 This rectangular Barcelona mirror is bordered by a resin frame. A glossy black finish brings out the delicate carving of the open scrollwork border and gives the piece a modern tone. 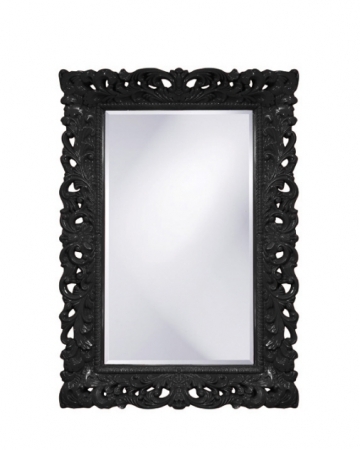 The mirror measures 32 inches by 46 inches and can be mounted at portrait or landscape orientation to best fit your space, making it perfect for a variety of functional or decorative uses. 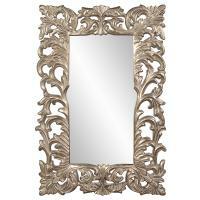 Try it above your bathroom vanity, in your bedroom or as an accent above your mantle. 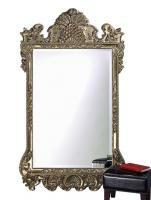 The mirror weighs 32 pounds and comes with the brackets that are necessary for mounting on any wall in your home.